Blasphemous Psalm To The Dummy God Creation - Despite the hideous title, this song is even faster than the first (well done to whoever ordered the songs here). Rafał Piotrowski is actually a pretty strong vocalist, metalcore or not. His lengthy screams on the chorus are orgasmic. Meshuggah vibes are quite obvious, but they are not bland carbon copies. Młody steps up to the late Vitek's drums with a lot of vigor, his drums lead this song. Veins - By now you should be aware that Decapitated have thrown away their technical side in favour of groove-laden songs, and the groove on this album packs a serious punch. This song even has a heavy breakdown, and as with the first song, suddenly has a slow section with introspective guitars. This has been a curious theme for this album (another influence from Meshuggah's Koloss?). It's a decent song, and almost ready-made for weight lifting sessions. Skip the interlude if you are doing some power lifts, though. 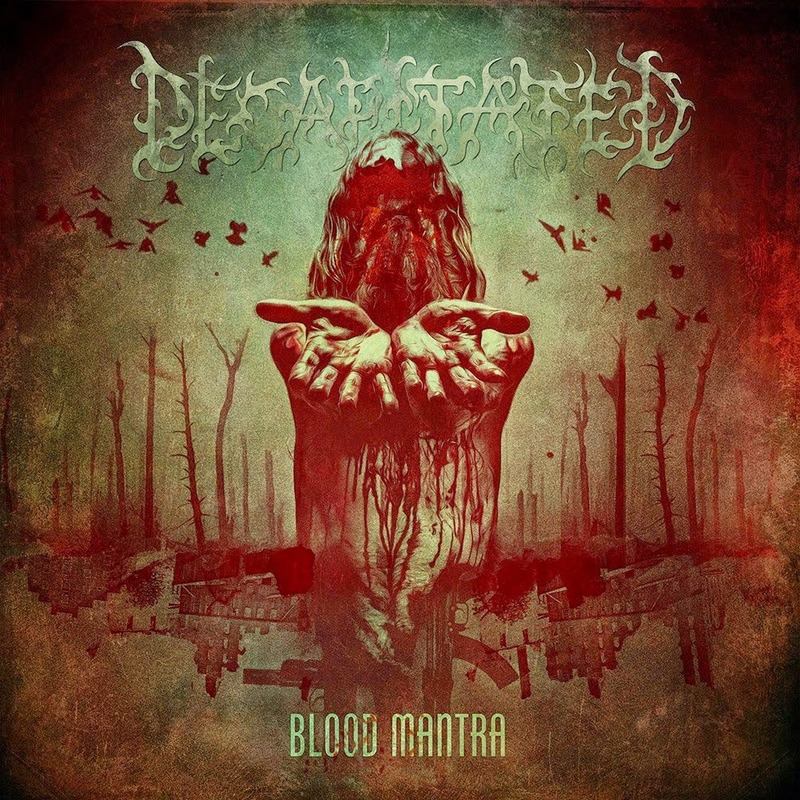 Blood Mantra - Surprise; a melodic chorus! It's a catchy song, and cruises with just enough variation to keep going. Vogg's guitars and Młody's drums really compliment each other well. Nest - The beauty of this song is in its latent complexity It appears simple and groovy but has quite a bit of polyrhythms going on. The solo isn't so much a solo as it is an interlude, but it does help to break the staccato. Instinct - Some crazy riffing over here. A fantastic song. Enough said. Blindness - A personal favourite song on this album. Another example of polyrhythms (guitars are 3/4 while drums are 4/4). This also another very Meshuggah-like song, but goes further to add a more personal tone to the songs. It's Meshuggah with a lot more raw emotion and introspection. Excellent execution. A slow Decapitated song would have been thought a joke ten years ago., but this is probably one of the best songs Decapitated has ever done. Red Sun - Seems like it's following what Meshuggah did with 'The Last Vigil', but it's not the album closer. Again, smart move by whoever structured the album sequence. Moth Defect - The band ends on a very interesting note. The song is mid-paced and is not as long as it seems (bloated by atmospherics again). Some crazy snare rolls in the chorus, and some pretty experimental songwriting. In all, I would have to say I am pleasantly surprised by this album. I did not enjoy 'Carnival Is Forever' as much as their back catalog, and was worried if the band had hit its creative peak. With nearly every member replaced in the band for the second time, it's good to see that Vogg continues to churn out some memorable guitar-driven songs here. Production-wise, the band does just okay. It's mastered very loudly at DR7, but it's not brickwalled. The mix is fantastic though, the guitars and drums are very thick here. Bass is almost inaudible, but I suppose that's also because bassist Paweł Pasek isn't doing much anyway. As for the album itself, it might be a bummer for those expecting their earlier material. It's a very steady, mid-paced album, and I appreciate the maturity in songwriting. It seems like the logical direction too, and I am happy to say that I find this album much more enjoyable than their previous one. Very well-written death / groove metal.